So this post is, to quote, a day late and a dollar short. Or to be more accurate, eleven days late. 🙈 I was supposed to write and post this the Monday after Bout of Books 18 finished. Instead, I’m writing this on a Friday afternoon eleven days late which means I’ll be twelve days late by the time you read this on Saturday. I can only apologise. For some reason January seems to be getting away from me. I am at this moment behind on everything. Between January 2nd and January 8th I managed to read three and a bit books – that’s one thousand one hundred and sixty-eight pages. I was really pleased with this. I could have read more, but reading these three books really helped towards my goal of getting more reviews scheduled for this year. And although I did not set myself any goal apart from reading, I did manage to take part in the Saturday Twitter Chat (for a while anyway). This was just as much fun as I remembered from previous Bout of Books, and something I highly recommend for anyone taking part to try. It is pure chaos, but such fun! The books I read during Bout of Books 18. And to wrap this post up, I thought I’d let you know that Bout of Books 19 is between May 8th and May 14th. You can find more details on the Bout of Books website, and I’m seriously thinking of taking part in it. Thank you so much for reading this far into this rambly, late post – you are awesome! If you haven’t had a chance to check it out you can find my review of Relativity by Antonia Hayes here. And I’ll see you soon with another review. 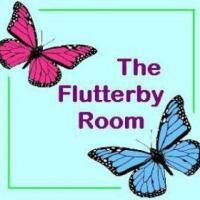 It is with regret that I write this post, to announce that The Flutterby Room will be on hiatus throughout March 2015. Taking a break from blogging during this month was not something I had planned, but events have conspired against me. I have a chronic illness, which flared up towards the end of December 2014, and I have been fighting to keep afloat. There will be one more post from me this month; one that I scheduled a while back. It is a review of WILD JUSTICE by Kelley Armstrong and it will go up on the 5th March. Taking a deep breath and pausing in March will hopefully allow me to catch up with both my reading and write some new blog posts. I hope you have a good March. This week there are quite a few books, but it covers almost two months worth of books. The last couple of weeks have been okay. I really enjoyed watching Dolly Parton at Glastonbury on the TV, I think she put on a real good show. I also enjoyed watching the start of the Tour de France yesterday, it was nice to see all those people out to watch the race! I’m also really looking forward to being at YALC next weekend – I will only be there on the Saturday though! An amusing comic for Philip Pullman fans here. Boingboing has an article in which ‘C. S. Lewis explains why you should be proud to read children’s books’ which you can find here. The New York Times has an article about the American Academy of Paediatrics new recommendation that children should be read aloud to from birth here. Entertainment Weekly reimagines some literary classics as YA books here. J. K. Rowling’s latest novel as Robert Galbraith THE SILKWORM sells 21k in its first week! You can find out more here. The Guardian reports here that the filming of FANTASTIC BEASTS is to be shot in the UK. The Boston Globe has a really hard Children’s book and YA lit quiz which you can have a go at here. Not a lot of links this week, especially when you consider that the above is two weeks worth of links that have caught my attention. Saw the Philip Pullman strip, and I just had to share especially after reading the comments. I also thought that C. S. Lewis made some interesting points in the section quoted on Boingboing. I was also somewhat bemused by The New York Times article, but that was probably because my parents always read to me as a child and encouraged a love of reading – and I know not everyone does this, but I still think it’s weird. There are some really amazing re-imagined covers and I was happy to see that Rowling still did well sales wise despite the Amazon/Hachette dispute. The Boston Globe‘s book quiz was…interesting. There were quite a few books I hadn’t heard of and/or not read, but I still enjoyed trying to guess. I didn’t do particularly well, but then I didn’t expect to either once I saw the questions. No books for me this week, but hopefully I’ll have a couple (or so) to show next week.